Jenn Biggs occupies her time by drawing silly cartoons, making gluten-free food stuffs, wearing goggles and doing pretend science. Robyn Jasko is a local foods activist and community garden starter. She is the co-founder of GrowIndie.com, a site promoting sustainable lifestyles, homesteading, eating well, and living local. 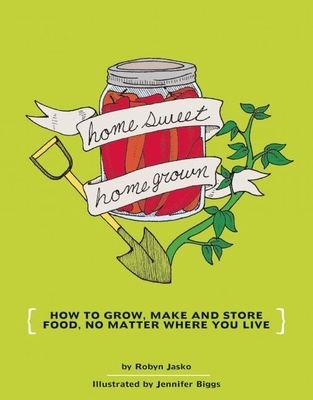 Her first book is Homesweet Homegrown: How to Grow, Make and Store Food, No Matter Where You Live.